Judes Bathrooms is one of the leading providers of bathroom renovations in Melbourne. We are also a very respected and trusted company for bathroom remodeling in Victoria. Our team consists of trained and experienced builders as well as consultants to help you create some of the most beautiful bathroom designs. We can offer you a range of services right from budget bathroom renovations to extravagant and luxurious bathrooms. It does not matter whether you need large or small bathroom renovations. We do it all and that too at very affordable rates. 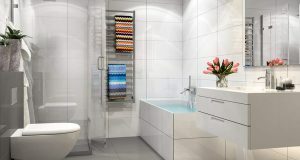 Our bathroom renovation services boast of good, better and best bathrooms based on the need and budget of the clients. We work closely with our customers and strive to turn their dreams into reality and concept to completion. We follow a holistic bathroom renovation process wherein we are as involved and invested in the project as the client themselves. Explore some of our projects online at our site and we are sure you will be amazed at our creations. We have the necessary experience and skill set to provide you with the most affordable bathroom renovations yet high-quality bathrooms at the same time. We are your preferred choice of bathroom renovators in Melbourne when it comes to value, style, creativity and functional bathroom designs which will make you fall in love all over again with your bathrooms.